These 30 mil white PVC cards are easily customizable on most direct-to-card printers. 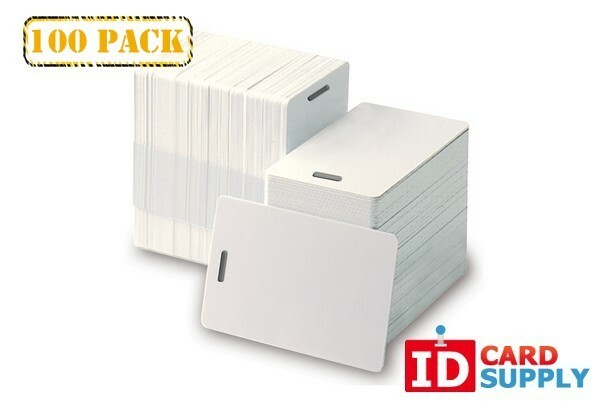 By IDCardSupply, these PVC cards come with a vertical slot punch for easy attachment to a lanyard. 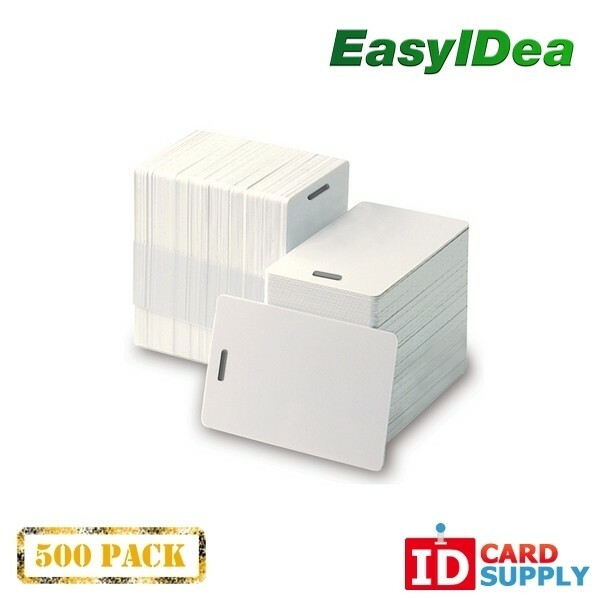 This pack comes with 500 cards, perfect for anyone who needs to have a lot of cards in stock as a backup!